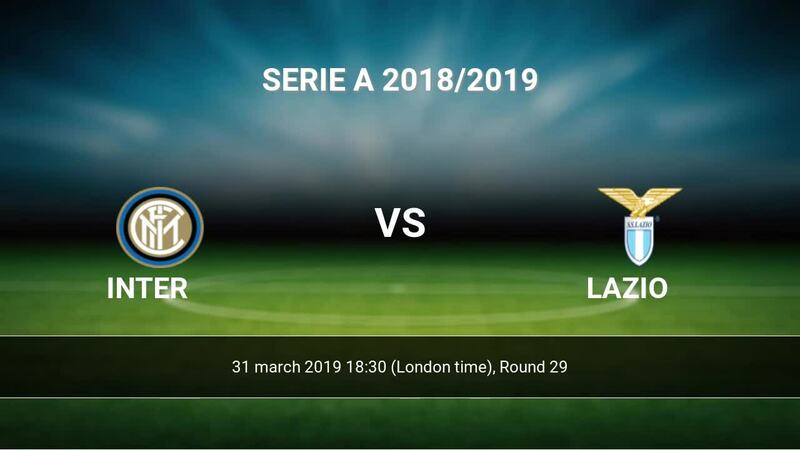 Match Inter-Lazio Serie A the fixture is set to kick-off today 18:30 on Giuseppe Meazza. Refereee Paolo Silvio Mazzoleni. Team Inter is at the top place in the table (3 place). In 5 last games (league + cup) Inter get 10 points. Not lost the match from 2 games. In this season games Serie A the most goals scored players: Mauro Icardi 9 goals, Lautaro Martinez 6 goals, Matteo Politano 4 goals. They will have to be well guarded by defense Lazio. Most assists in the club have: Mauro Icardi 2 assists, Lautaro Martinez 2 assists, Matteo Politano 4 assists. Injured players Inter: Sime Vrsaljko, Stefan de Vrij, Lautaro Martinez. Team Lazio is located in the middle of the table. (8 place). In 5 last games (league + cup) Lazio get 10 points. Lazio did not win the match away from 2 games. Not lost the match from 3 games. Leading players Lazio in Serie A is: Ciro Immobile 13 goals, Felipe Caicedo 4 goals, Joaquin Correa 3 goals. Most assists in the club have: Ciro Immobile 3 assists, Felipe Caicedo 1 assists, Joaquin Correa 5 assists. In Lazio not occur in the match due to injury: Jordan Lukaku. 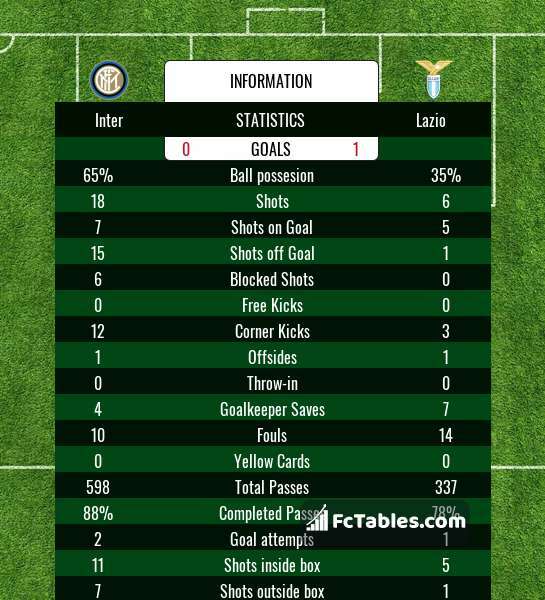 Direct matches: usually ended with winning of Inter. 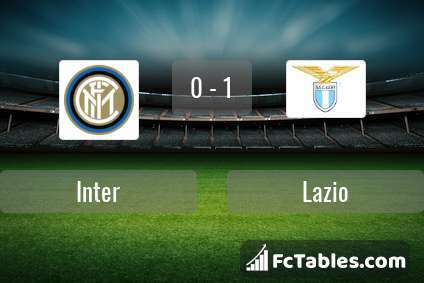 Balace of both teams games are: 18 won Inter, 14 wins Lazio, 17 draws. In 25 matches the sum of the goals both teams was greater than 2.5 (Over 2.5). On the other hand, 39 matches teams scored more than 1.5 goals (Over 1.5). In 29 matches the both teams have shot at least one goal.